Hello! The day is finally here to start sharing projects with the BRAND NEW October release at Lil' Inker Designs! There is such a fun mix of products in this release - there is just a bit of fun fall mixed in with lots of great Christmas and winter theme items! You can find the entire new release HERE! I have two cards to share with you today - first up, using the fabulous new layering stamp set - Merry Ornaments! This is such a fun stamp set - the layering possibilities are so unique! I used some of my favorite non-traditional Christmas colors - blues and reds! I also added some black splatters to the background with my Pinkfresh Licorice Liquid watercolor, and then mounted on some festive red pattern paper to finish it off. 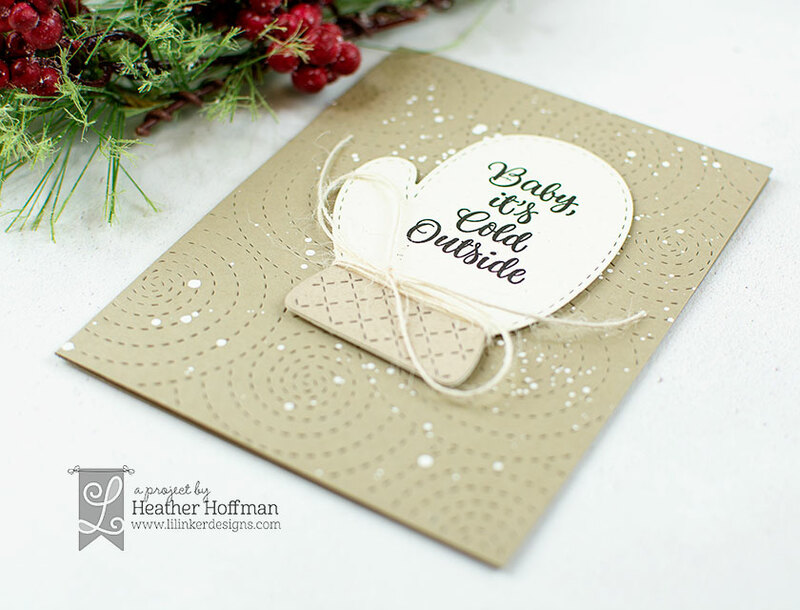 For this card, I started by die cutting the main piece of the mitten from some rustic white cardstock, then added the bottom part with Neenah Desert Storm cardstock. I stamped the sentiment in the center of the mitten, and tied on some jute string. For the cardbase, I used Reverse Confetti Sand cardstock and die cut it with Quilted Stitched Spirals Cover Die and added some white paint splatters. Once that dried, I mounted the mitten over the top with foam adhesive for a nice clean and simple card! Beautiful cards! I especially am loving the first card! I just really love how the ornament looks! I also love the colors that you chose to color it too! Such pretty soft colors! flourishes under the bauble. Very pretty. The ornament card is stunning! Such nice cards! Love love love the mitten one especially! Thanks for the chance to win! Great cards! Love the ornament card and the colors you chose! Great cards, I love the mitten card. In love with your creations! So pretty! Thanks for the inspiration! Wonderful cards! 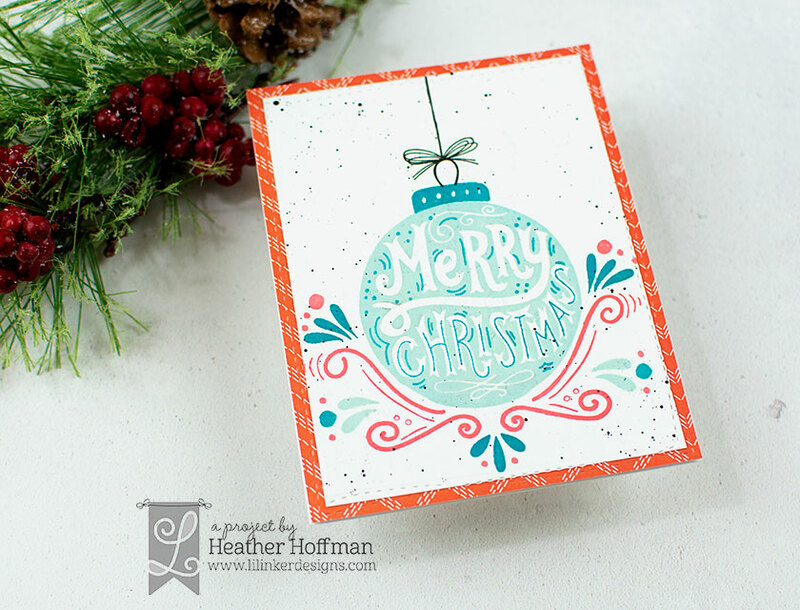 I love the mitten design and the colours with the ornament card a fabulous! Loving both your cards but those mittens are just so cute and cosy! Great cards Heather. Something about the pool color on Christmas cards...love it!! and the mitten is so cute and appears simple! Fantastic cards, love your mitten card! Great cards. Love the mitten. Great cards! The one with the Merry Ornament is my favorite, beautiful colors! Awesome pair of cards, lovely colours on the ornament card & that mitten looks so snuggly for keeping hands warm. Great designs, Heather! The quilted background die is beautiful and the little mitten is so cute. The ornament is elegant but simply done. Beautiful! Beautiful cards with these fun products. The Merry Ornament set is my fave so far. The mitten card is stunning! I love that die! Great job with the ornament too! Mitten card is just too cute! Great background. The ornament is a keeper! Love the mitten's!! So So cute. I can't wait for Christmas! 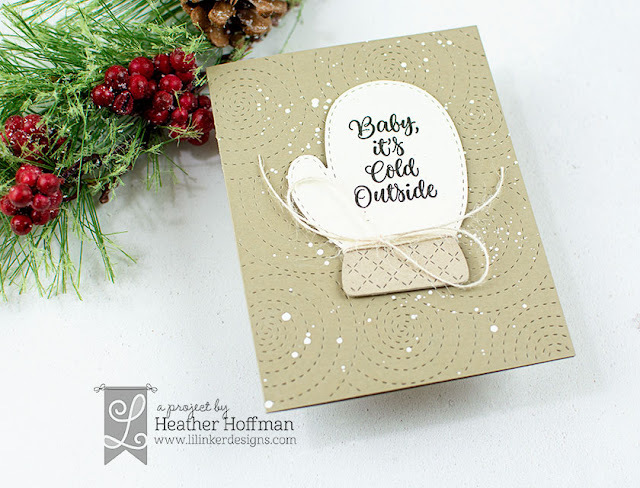 Pretty colors on the ornament card and cute mitten. 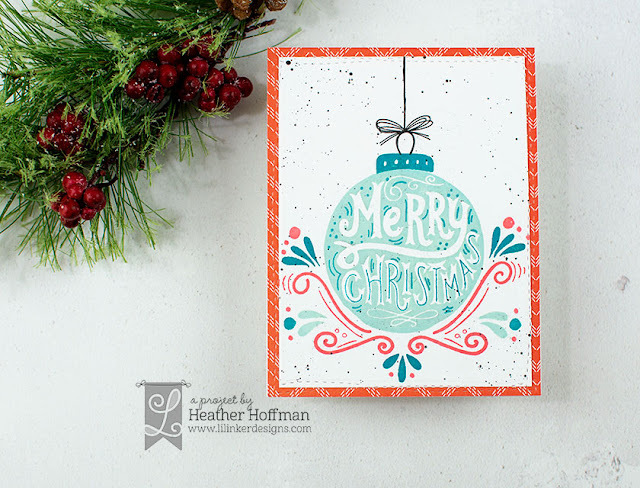 Love your ornament card.... great color combo! And an adorable mitten card with an awesome background detail! I absolutely love your cards! Lovely clean designs, fantastic color combinations and subtle but interesting backgrounds. Fabulous Xmas cards!!! Love them!!! Both cards are beautiful. I can't decide which one I like best. Wow! 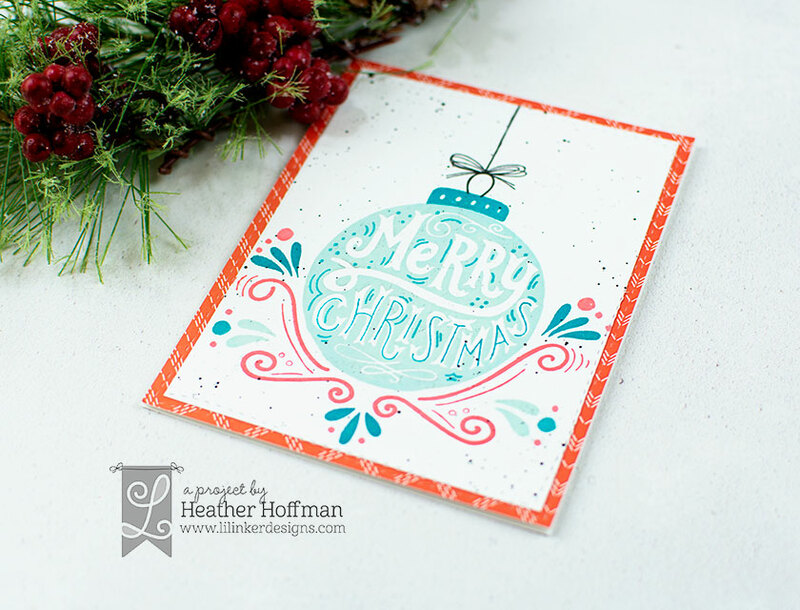 Beautiful cards, Heather! Love your color choices on the first one, and the stitched spirals behind the mitten are absolutely fantastic!!! Wow! Fabulous cards and amazing release. LOVE your WARM and WONDERFUL mitten card! ADORE your VERY MERRY ornament card, the red/white/blue combo is so fresh and CHEERY, the accents underneath make the design come alive! Two fabulous cards! The mitten card is so soft and warm. Love the bright vibrance of the ornament card. Great Release! I am not ready for winter anytime soon, but your winter cards are lovely! I especially like how you did the kitten card--card--iI really like your idea to use kraft paper. Wow. There are so man6 lovely new products in this release. I want a few too many!